Learning a second language can be difficult, especially for adult learners who often do not have a vast amount of time to devote to language revision. The main trick to language learning is immersion, you need to make the language you want to learn a constant part of you day-to-day activities. To help you achieve that level of immersion, we’ve put together a series of articles with language filled learning tips, to help you make your new language part of your life. Conversation – Conversation with others who are more fluent in language you are hoping to learn is key to learning it. Not only does being forced through stumbling conversations motivate you to get better, so you can better express yourself, it also gives you a sense of achievement when you can make yourself understood. For students in our ESL course this couldn’t be easier. 80% of people in the U.S speak English, so there are plenty of people out there for you to practice your new language skills with. Start with the 100 most common words – Studies have shown that the most common 100 words in any language account for 50% of all spoken communication. Rather than working on vocabulary that is unlikely to be used in everyday conversation, learn the 100 most common words in English and use them to start making basic conversation. Carry a pocket dictionary – Having a dictionary with you allows you to access words which you might have forgotten, rather than simply bypassing them. Keeping a pocket dictionary with you makes it quick and easy to look up a word and then insert it into conversation, and the action of researching and using the word makes it easier to remember next time. Use a language exchange website – You can’t be in class all the time and it’s important that you use your time outside of class to keep working on your language skills. Language exchange websites allow you to connect with other learners, swap tips and techniques and speak to others who are fluent in the language you are trying to learn. While learning a new language isn’t easy, the benefits are substantial. By improving your English skills you gain better access to education, a better earning potential, a better social life and even better results from healthcare. 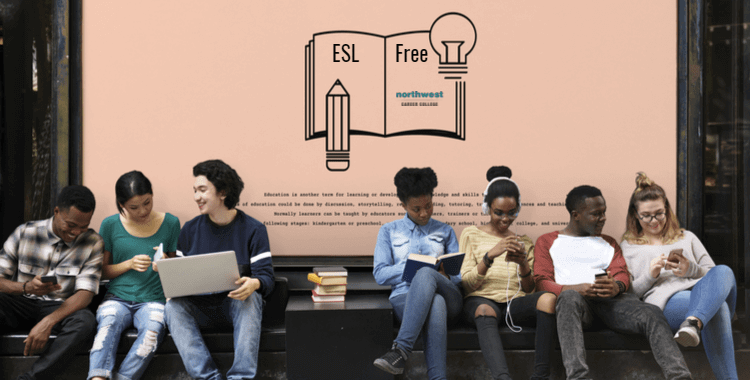 We here at Northwest Community College are committed to enhancing our community, which is why we are proud to offer our ESL courses free of charge to our students, their friends and family and the community at large. Our seasoned language teachers are experienced in working with international students from all over the world and are here to help you get the most from your classes. To help your lessons fit in with your work and home life we also offer a variety of classes. If you are interested in taking advantage of this excellent opportunity then call one of our ESL counsellors today on (702) 403-1592.